Dr. Jekyll but mostly Mrs. Hyde – and a gift from above. Not my mother. Whew! No, she is negative, angry, and aggravated – nearly all the time. The pleasant side of mother is seen so rarely that I have taken to calling her Dr. Jekyll and “Mrs.” Hyde, and mostly we see Mrs. Hyde. This past week was particularly challenging. Mom had been complaining for weeks that she thought she needed to see her doctor. She had no specific complaints – she just kept saying she thought she needed to go to the doctor. In fact, she had seen her geriatric physician – who comes to the assisted living, in the past two weeks. But we also had an appointment with her neurologist so even though I informed her of that upcoming appointment, I also wrote that visit on her calendar and on her large white board so she could easily see it. I hoped that would ease her mind. This physician happens to be in mom’s hometown, an hour away. We continue to go to him as he is not only an excellent physician, but a good friend. He allows me to email him when issues arise, and quite simply – we trust him. Let me back track a bit. When mother had her second hip break just one month after the first, and the doctor said she absolutely could not go back home, even with the daily caregiver who had been coming for a couple of years, my siblings and I made the decision to place Mom in an assisted living near me. We knew that leaving her close knit group of church friends would be painful, but the need to have her near one of us seemed imperative. We vowed to make sure they kept in touch, via phone calls and visits. It wasn’t the same, but we also hoped mother would make new friends at the assisted living. So back to last week’s events, it turned out that the day of her doctor appointment was the same day as her church circle was meeting. I had called her good friend, Pauline to arrange a lunch with her while we were in town, and she informed me of the circle meeting. What luck! Mother could see several of her friends and participate in the group of which she had been so fond. I realize that having a dementia, means mother will need lots of reminders and warnings of events to come – thus the calendar and the whiteboard within easy sight. And she is quite fashion conscious so the night before, she insisted we pick out the outfit she would wear. We talked about the circle meeting and how nice it would be to see her friends. On the day of the doctor visit, Mrs. Hyde was out in full force. She insisted she had not known we were going, even though the assisted living staff said she had rung her buzzer frequently throughout the night, to remind them I would be there soon to take her to the doctor. As we drove she complained about the cold weather, she complained about the length of the trip and of course, about my driving. No matter how careful I drive, it has always been a source of complaint. Not one word about the friends she would be seeing. Two days later I took her out to dinner. As I have said, she complains incessantly about the food. She usually eats much better when we go out and I try to take her as often as I can. As we left Hilltop Manor several of her friends bade us good-by. One said, “Have fun!” Another said, “I wish we were going too!” One said, “Oh, eat something good and think of us.” I actually felt guilty and wished I could take all of them with us! Alas, however, Mother complained that the waitress took too long, the people at the next table were “fat”, the restaurant was too noisy and “this traffic is just awful” – another pleasant time spent with Mrs. Hyde. Yesterday, I knew I needed to stop by and see her – I had some supplies she would need. But I dreaded it. Some days I can take it. I know her life has changed immeasurably and she has a debilitating disease, and that can certainly be disheartening for her. But as I watch many of the other residents in the facility make the best of their situation, I just wish mother could see SOME bright side, some time, even just a little. So with a knot in my stomach, I made the visit. I gave her the muffins I had purchased for her and as I put away the rest of the supplies she said, “ Oh, these look good.” and she ate one. It was a rare appearance from the pleasant Dr. Jekyll – a moment with a “nice” Mom – a gift from above. Thank you, Lord. 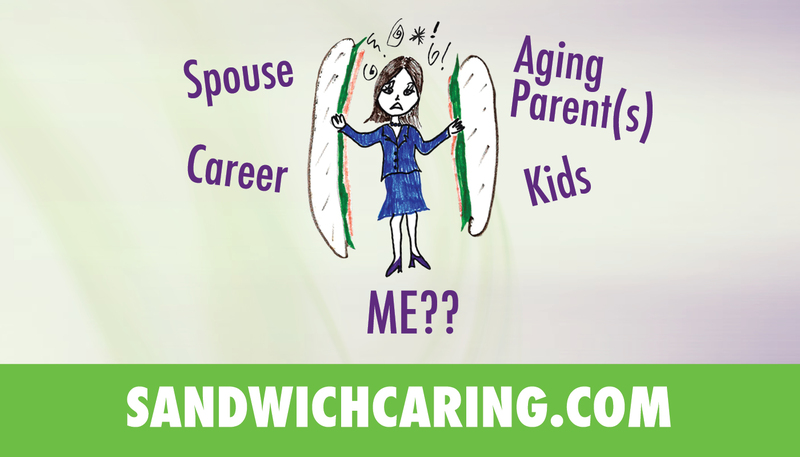 This entry was posted in caregiving, life challenges, parents, planning for the future, sandwichcaring, Uncategorized and tagged health care on November 18, 2013 by janestory. I can relate to this and it will be the good times you will cherish. So, enjoy your Mama despite the tough times. I know… After all our Mama’s are sisters, and mine is now in heaven. It is the good times I remember, like crawling in bed and taking afternoon naps with her when she just wanted to sleep. Or telling the caregivers that she could have her ice cream before she ate her meal, or if that was all she wanted for her her meal. She had earned the right to say what she wanted. We bantered back and forth when she was annoying, and we hugged when she was happy. You are doing a good thing that you will cherish forever. Thanks for your sharing. Your experience I am sure helps many others ’cause it does take a village. You relate your situation very well, Jane, with compassion and understanding, while still being honest about your own ambivalence. My mom was one of the “nice ones,” always finding the good in everyone and everything. Otherwise, I never could have cared for her in our home for the last 4.5 years of her life. I often counted my blessings for having such an agreeable mother, although I did struggle with the dementia related bouts of OCD. My heart goes out to you as you continue to do the best you can for your mom, and do take extra good care of yourself while you’re at it.